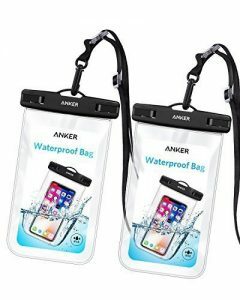 Amazon has a Anker Universal Smartphone Waterproof Case (2-Pack) Sale, $6.99 Free Shipping $25 or with Amazon Prime. Expires Soon - Rated 4.5 out of 5 stars. The crystal clear transparent window lets you still use your phone. Take pictures!